While perhaps dull to the lay-man, generating vga signals is more difficult than it seems. 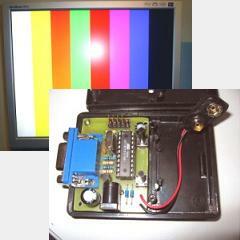 This ATtiny cranks out the proper signals to display a few test colors on a vga input monitor. The code is short and sweet and the schematic is even more simple.